The paintings were discovered in Mallannagutta when a group of scholars were exploring some ancient sites in the region. 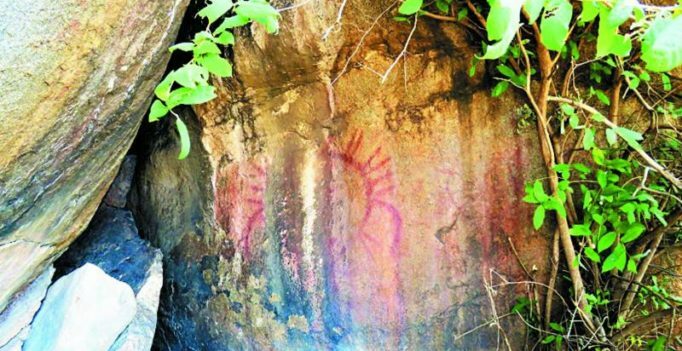 Hyderabad: Rock paintings believed to be dating back to pre-historic times have been discovered by a team of the Kotha Telangana Charitra Brundum in Kukunur village of Veldurthi mandal in Medak district. According to Mr Vemuganti Muralikrishna, a Telugu teacher from Kollur near BHEL Ramachandrapuram, and Mr Sriramoju Haragopal, a retired teacher, they found the rock paintings when they were exploring some ancient sites in the region. “The paintings were found in Mallannagutta and are in excellent condition. They could be 25,000 years old or more. The paintings are of fish, animals, birds, human beings,” Mr Muralikrishna said about the paintings which appear-ed bright. According to the teacher, there were about 50 paintings in red colour. Similar paintings have been found at Kanchanapalli and Rat-napur nearby and at Kethavaram caves in Andhra Pradesh. “These paintings were first discovered by Medak resident Boggula Shanker Reddy. 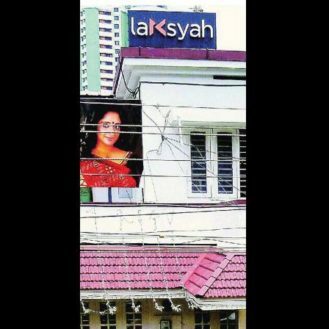 They include a swastik design, warrior with a sword and a woman, danseuse. We are continuing exploration and research on the findings,” he said. Asked about the reason for the fresh look of paintings, he said the colour quality and combination seemed to be exemplary those days.